Pouring water, this way that way - something that is not very new to DD1. She had done various versions of it without getting bored. 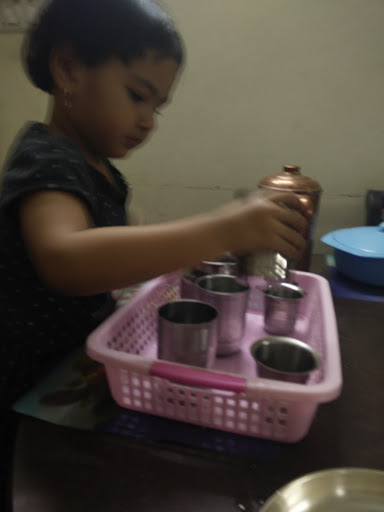 Here is another time she wants to do the same activity with different arrangement of vessels and actions. 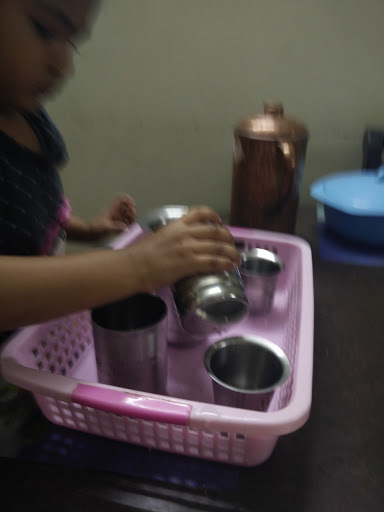 So, it was dinner time just when DD1 grabbed hold of different types of glasses(and chembu in local language) and asked for water in them. What did I do? All the while, she is reminded to pour water carefully without dropping any. Next time your child asks for any item that seem to be messy, offer an activity out of them. Do not bluntly say no and discourage their sense of exploration.